Change Your Bulbs, Save a Bundle! Did you know there is a simple project that you can do at home today that will save you money and requires only one trip to the store? Changing your lighting to all ENERGY STAR certified LED bulbs can lower your lighting energy usage by up to 80%. Switching five incandescent bulbs to LEDs can cut your utility bill by at least $25 dollars. Along with saving energy, switching to LEDs will save you time. Since they last 20x longer than incandescent bulbs, you’ll forget where you stored your step stool when you finally have to change a bulb. Switching your lighting to ENERGY STAR LEDs is one of the simplest projects on My Green Montgomery. You can either choose to switch out bulbs whenever a non-LED bulb goes out, or you can do a full sweep of your house and switch out all your bulbs now. While CFLs are more energy efficient than incandescent bulbs, they still contain mercury which makes them less environmentally friendly then LEDs. Our recommendation is to simply skip CFLs and jump straight to all LEDs. There has been a lot of technological improvements to LEDs over the past decade that has made them more compatible to different types of lighting, as well as, more cost efficient. They now come in dimmable varieties, and can be used in many different types of fixtures. Follow the ENERGY STAR guide to choosing the best LED light bulb for you. Incandescent bulbs can be put directly in the trash. They cannot be recycled. CFLs, on the other hand, must be recycled. CFLs contain mercury, which means they should be treated as a hazardous waste. Be very cautious not to break a CFL when changing your bulbs. If a bulb should break, follow these EPA recommended steps to clean up the bulb. The County accept CFLs, tubes, and ballasts from your home at no additional charge at our Household Hazardous Waste dropoff at the Shady Grove Processing Facility and Transfer Station. Live in a municipality? Contact your local municipal office for additional information regarding CFLs recycling opportunities in your community. 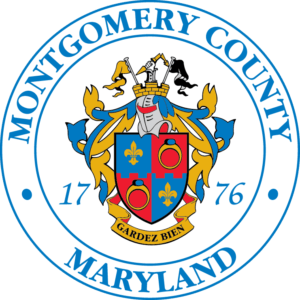 Montgomery County has compiled a list through various sources of other dropoff sites. It does not present it as a complete directory of all organizations or companies, nor offer it as an endorsement of any of the organizations. The EmPower Maryland program provides instant, in-store savings when purchasing ENERGY STAR LEDs as well as light fixtures. Buying lighting in Maryland automatically becomes cheaper than in other states. Find participating retailers online.